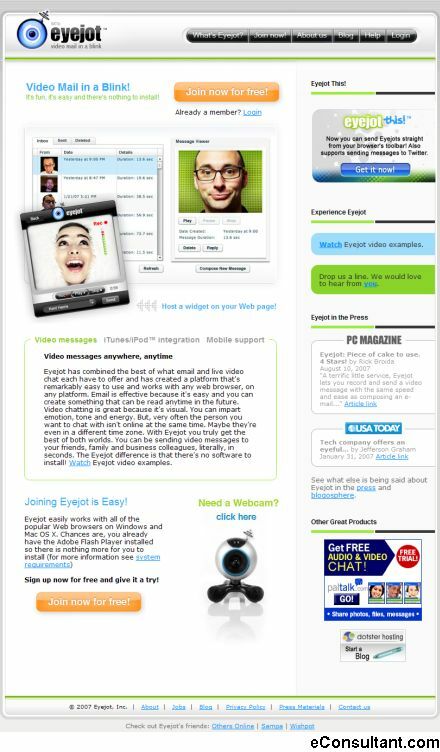 Description : Eyejot is the first, comprehensive, client-free online video messaging platform ideal for both personal and business communications. It offers everyone the ability to create and receive video messages in a self-contained, spam-free environment. With no client to install, you can start using Eyejot immediately with any browser, on any platform. It even features built-in support for iTunes (and iPods&trade), mobile devices and social networks like MySpace.